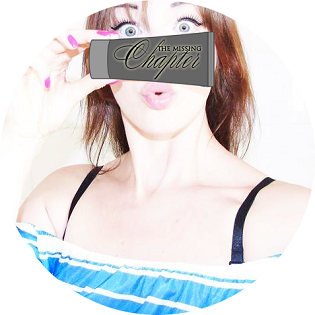 The Missing Chapter - London Lifestyle Blog: Home-pamper yourself on a bargain. Home-pamper yourself on a bargain. What's a better way to kick off the month than by treating yourself to something every and each of us deserves. I was never too keen on going to a spa, for plenty of reason. I'm a home and chill type of person and I truly rather come up with my own home remedies and treatments that will leave me feeling fresh, beautiful and 100% satisfied. Up until early last year I used to spend at least £100 a month on getting my finger nails done, not to even mention the pedicure expenses. It took me a good few years to actually realise what a waste of money that was. Long nails extensions were just what I loved, not giving a damn or even having a clue what the thick amount of gel does to my nails. One day I said STOP. I've invested in a cute collection of nail polishes and conditioners as well as a nail polish UV nail lamp which makes the whole process quicker and much easier. This new technology of double light source covers a wider range of ultraviolet band which is suitable for drying nail UV-glue, builder glue, nail polish gel and sculpture gel. Not only do I have much natural looking nails, but can you imagine how much money I have saved over the past few months? for a 25% off the product. Teeth whitening at the dentist can very pricey and it doesn't last long enough to make up for the price... Begin with oil pulling on empty stomach, my favourite one is a full table spoon of coconut oil. I also set myself a challenge of brushing my teeth after every bit of food or drink I consume. It soon became a habit, or should I say a routine. This guarantees a much cheaper, healthier, natural and long-lasting effect. A very important step is to pick the perfect toothpaste that will not only promote teeth whitening but also take a good care of them. I went for an all natural charcoal toothpaste which ticks all the boxes. for a 20% off the product. How I love a good coffee scrub, it refreshes my skin and promotes my complexion. Coconut oil has to be applied all over my face and body not only after every scrub/peeling but daily. Check out how coconut oil helped my new born daughter treat acne and eczema. An absolute essential in my 'bathroom' is also a charcoal blackhead remover, as I can not stand my nose looking like a dot-to-dot page. for a 10% off the product. having to spend crazy amount of money! What are the things that you love doing for yourself?